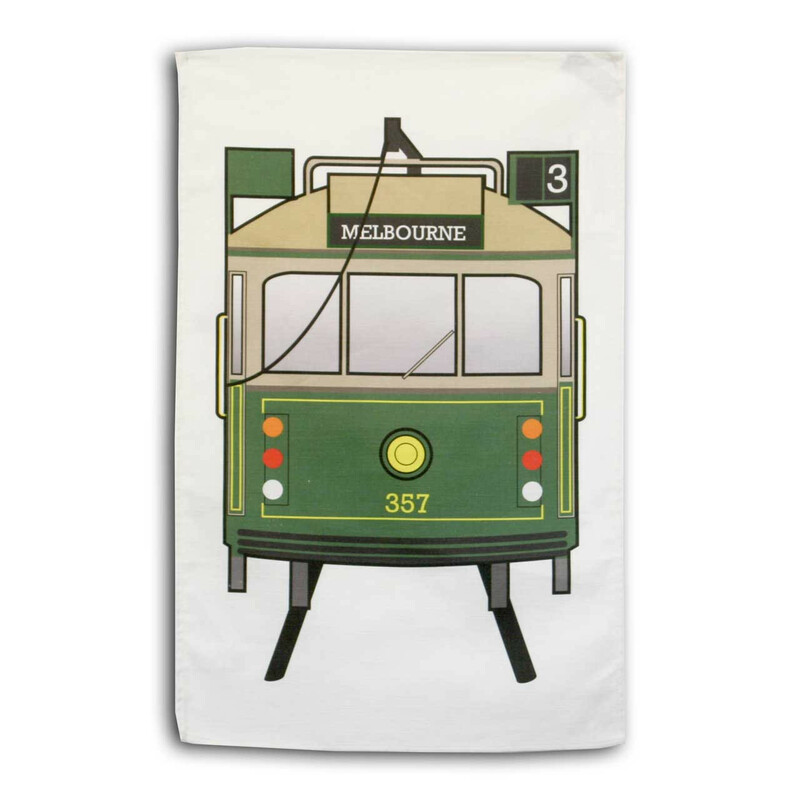 Souvenir printed tea-towels from Melbourne, Australia make washing up a stylish snap. Give them as gifts, or just add fun to your kitchen as an everyday tea-towel that helps take the chore out clean-up time. Durable, ethically-manufactured fabric to make you feel good.